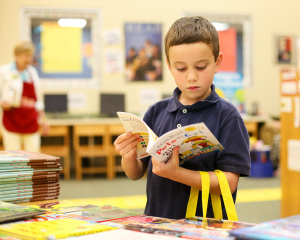 Our flagship program, Stop Summer Slide!, provides 12 books per child in the elementary schools we serve. In 2018, Stop Summer Slide! served every child in 13 Athens elementary schools, two schools in Atlanta, two schools in Elberton, and one school in Warrenton – a total of 8,000 students. And it works! Click here to visit our Program Evaluation page and learn more about how we’re demonstrating BFK’s impact on student reading scores. The children come, one class at a time, to their school’s media center and select the books they would most like to own. 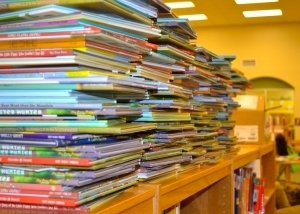 Volunteers help children find the books they want, and ask the students questions that help us align our book-collection needs for the following year. We do it just in time for summer, and we bring a large supply of new and like-new books with exciting covers and contemporary titles. If we want children to read over summer without any encouragement from an adult, the books have to be exciting! Books for Keeps collects gently-used beginning reader books for pre-K students at our partner schools. We distribute these books to children through the media specialists, several times a year. It’s never too early for a child to own a book! From young adult titles to adult best-sellers, BFK collects gently-used books suitable for middle and high school students. The books are distributed to students through the media specialists at each school, usually at the end of each school year. In 2011, Books for Keeps committed to the Clinton Global Initiative to continue providing 12 books to every student attending an Athens elementary school where 90 percent or more of students qualify for free/reduced-price lunch. BFK also committed to expand to one rural Georgia school, and one inner-city Atlanta school. In 2013, two more Athens schools reached the 90-percent mark. And in 2014, Books for Keeps followed through on its commitment, reaching these additional Athens schools, as well as the two schools outside Athens, for the first time. 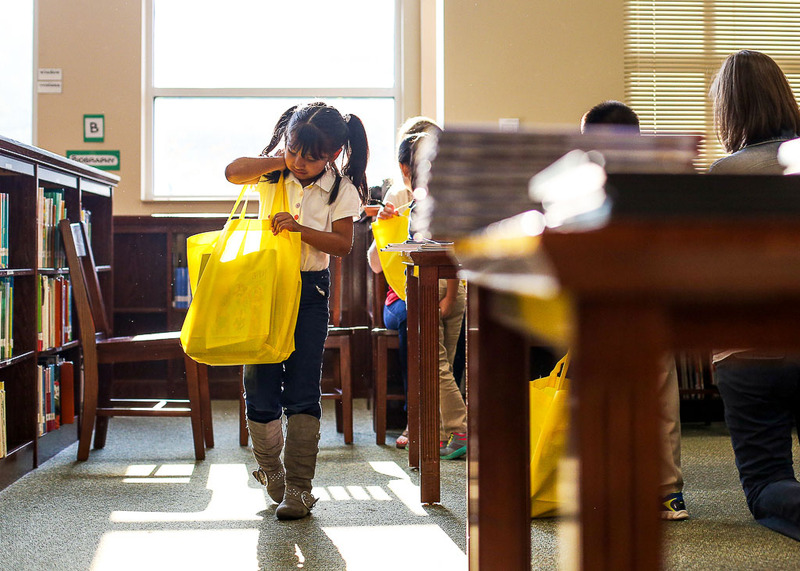 This nearly doubled the reach of the Books for Keeps program to 3,800 students from 2,000 students. Books for Keeps is laying the groundwork to reach more students – both inside and outside Athens and Atlanta. We need the community’s help to continue reaching additional students and stop summer slide in its tracks.